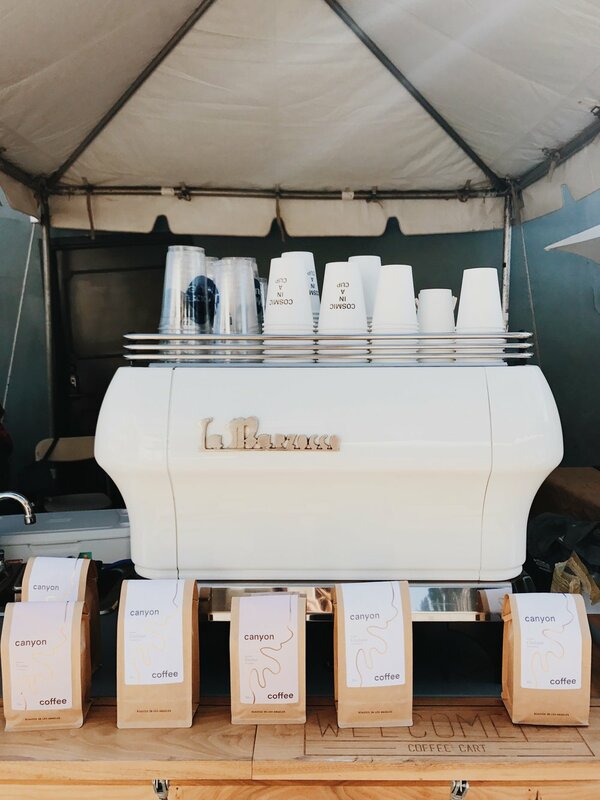 Welcome Coffee Cart is a mobile coffee installation based in Santa Barbara, California. Launched in the spring of 2016, by founder & certified barista June Haupts, Welcome instantly became a staple within the community. The cart operates a state-of-the-art La Marzocco named Fran, and pulls shots like no other. For the past two year’s, June has worked within the coffee industry, as a barista, community development coordinator and trainer for The French Press. She has designed & led public cuppings, educated employees on the various coffees offered, and facilitated latte art instruction. With Welcome, June has created a sense of community and artistry for her customers. Being a very social person, she launched Welcome as a means to engage with the public and provide a platform for creative connection. The cart is mobile, agile, and up for all occasions. Make sure to check out the blog to learn more about June’s adventures. For more information on private bookings, have a look at the services menu above, or shoot June an email at: welcomecoffeecart@gmail.com!